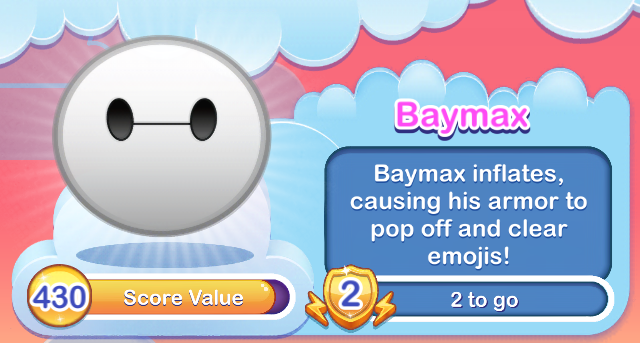 Baymax inflates, causing his armor to pop off and clear emojis! While tending to your personal healthcare needs, Baymax will experience a wardrobe malfunction. Oh, no. 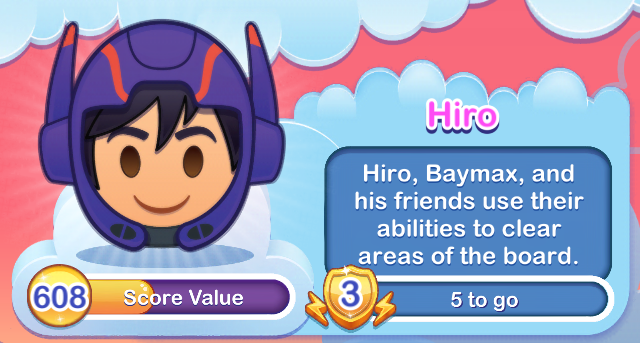 Hiro, Baymax, and his friends use their abilities to clear areas from the board. Hiro has given his friends major upgrades. Activate his power and his friends will come to support him.